Determine which assets are the most important to you and which you are willing to give up. Use this as the basis for your negotiations. For example, if you want a portion of your spouse's retirement pension, you may need to relinquish other assets, such as shared stock or mutual funds, to get it. Discuss property division with your spouse before filling for divorce, if possible. Even if you and your spouse cannot agree on all aspects of the asset division process, anything on which the two of you can agree will save you time and money at the negotiation table. Sell joint property whenever possible and split the proceeds. Doing so protects you from future credit damage and possible legal trouble if your spouse receives the asset in the divorce and stops making payments. The Federal Trade Commission notes that only you and your former spouse are bound by a divorce decree. Creditors can pursue both of you for joint debts, such as a mortgage, regardless of who received the asset in the divorce. Hire a mediator. A mediator works as an impartial adviser and facilitates open communication between you and your spouse – helping you divide your assets. This reduces the conflict you and your spouse may encounter when attempting to divide property on your own. Mediation is often cheaper than negotiating property division through your respective attorneys because it reduces your attorney's billable hours. 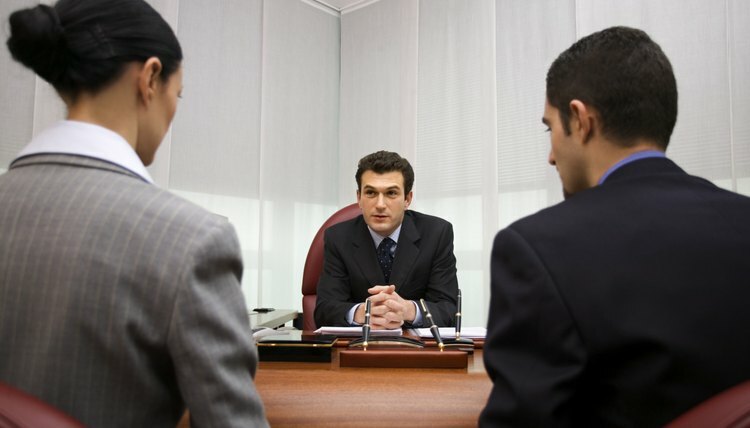 Schedule a settlement conference if mediation is not an option or proved ineffective. During a settlement conference, you, your spouse and your respective attorneys meet with a settlement master – often a judge – to resolve issues and prevent the divorce from going to trial. Unlike a mediator, who is impartial, a judge evaluates the case, gives his opinion on the proper course of action and explains how a trial judge is likely to divide the contested assets. You and your spouse can negotiate a settlement based on the settlement master's recommendations or you can request a trial. Take the case to trial. During the trial, both attorneys will present evidence to a judge and the judge makes the final decision regarding how you and your spouse must divide your assets. The judge's decision becomes the final divorce decree and is legally binding. When divorce is inevitable, the best time to begin disentangling your lives may be before it occurs. If you get an early jump on separating your finances, the actual divorce process might go more smoothly. This is especially true when both spouses want the divorce; then you both have incentive to come to terms regarding financial issues. No state will allow you to divorce until you have resolved them.